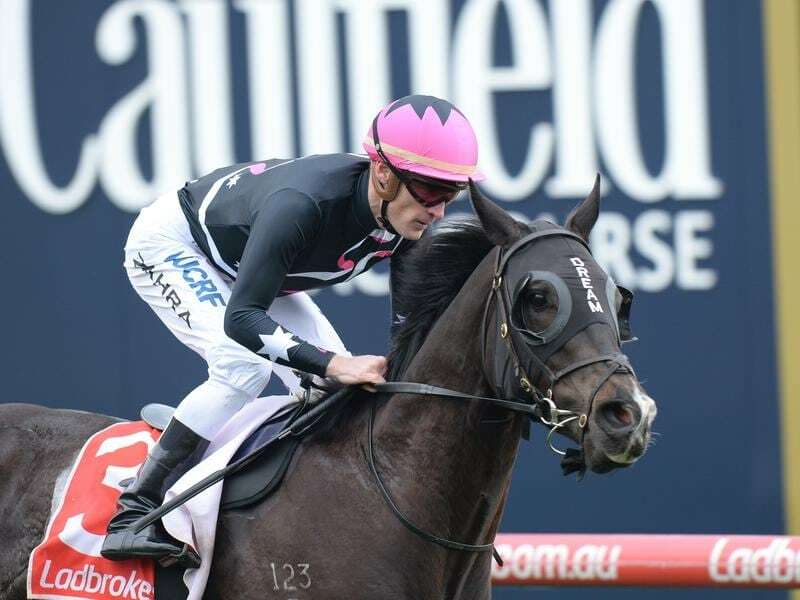 Mr Sneaky steps to a more suitable distance for the second start of his spring campaign and will bid to stamp his Sir Rupert Clarke Stakes credentials at Moonee Valley. Mr Sneaky charged home for third in an on-pace dominated Carlyon Stakes (1000m) at Moonee Valley first-up last month and will contest a Listed race over 1200m on Saturday. The Group One Sir Rupert Clarke (1400m) at Caulfield is Mr Sneaky’s main spring target, having finished second to stablemate Santa Ana Lane in the race 12 months ago. Saturday’s race has a number of potential candidates for the Rupert Clarke entered including Osborne Bulls and Land Of Plenty. They fought out the Regal Roller Stakes finish and occupy the top-two lines of betting at $3.80 and $5 respectively. Mr Sneaky was at $6 on Thursday and has barrier two with the favourite drawn to his inside. “The extra trip will certainly suit him and drawn barrier two he’ll just get smothered away and produced late,” trainer Anthony Freedman’s racing manager Brad Taylor said. Osborne Bulls has built an impressive winning record with eight victories from 11 starts and with even luck trainer James Cummings expects another strong showing. “Probably the biggest challenge for Osborne Bulls could be working his way into the clear as a noted backmarker around the tight Moonee Valley circuit,” Cummings said.